It is not unusual that in some circumstances, employees and employers may reach a stage in their relationship when the look to terminate all future association with each other, as a result of a dispute which has not been settled. Alternatively, a business may need to make changes to its personnel due to changes in need or owing to the wider commercial environment. These objectives are normally met through the use of what are known as Settlement Agreements. A Settlement Agreement is a legally binding document (a contract) that ends the employer-employee relationship. As mentioned earlier, Settlement Agreements do tend to be used to bring an end to a dispute between and employee and employer. Generally it is an employer who will propose that a Settlement Agreement is used to end the employer-employee relationship. However, it is open to employees to suggest that they be used. The terms of a Settlement Agreement will be particular to the dispute in question, but will normally provide for an employee leaving their position with an organisation, and waiving any future right to bring a claim before an Employment Tribunal. In return, a business will normally issue a level of financial compensation, and provide a reference to allow an individual to pursue employment elsewhere. A Settlement Agreement is a legal document. As a result, its use and signing by an employee carries with it certain legal consequences. Furthermore in order for a Settlement Agreement to be recognised as legal, and binding on the parties, an employee must receive independent legal advice on the terms of the Agreement. The advice must come from an independent legal advisor, who also holds professional indemnity insurance. Employees are not obliged to accept the terms of a Settlement Agreement that an employer offers. Where an employee believes that the proposed Settlement Agreement is unsatisfactory, the legal advisors of the employee will inform the employer that the Agreement is not accepted. As a result, the employer-employee relationship would not be brought to an end. 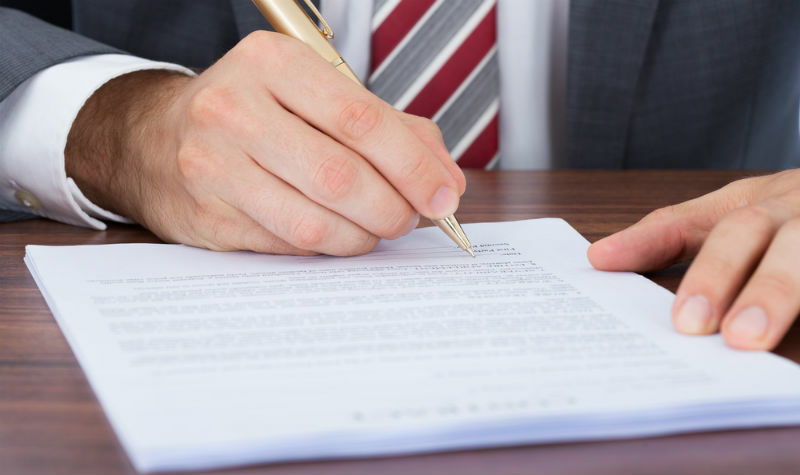 Where an employee accepts the terms of a Settlement Agreement, receives independent legal advice on the meaning of its terms and the consequences of signing such an Agreement, it will be signed and returned to the employer. The end of the employer-employee relationship, often identified as the 'Termination date' will be set down within the Settlement Agreement along with a timetable for the employee to expect payment of their financial compensation. It is generally the case that a reference will be provided by the employer, to allow the employee to find employment elsewhere. If you are considering the use of a Settlement Agreement in a dispute with your employer, or have already received one and have concerns about its terms, contact our specialist employment lawyers now. Our advice is tailored to your situation, and will be the responsibility of your employer to pay for.